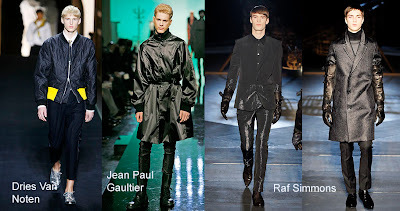 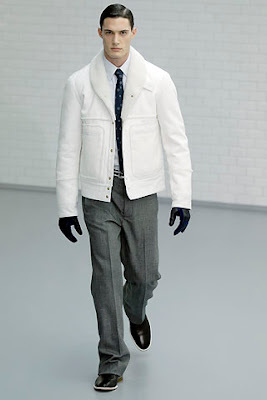 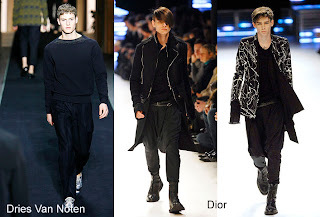 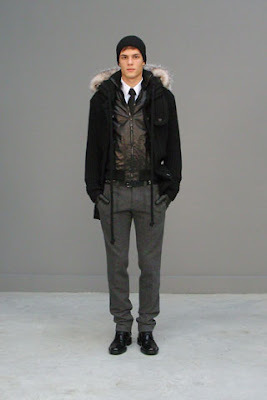 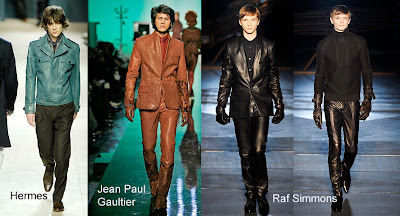 There Paris men’s fall/winter 2007/2008 continues the trends we have seen in Milan, new proportion, shiny fabrics, synthetic fabrics mix in with natural and lots of leather. 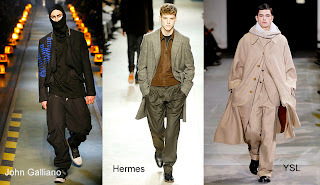 1) New Proportion - whether it's tight crop top paired with loose pleated pants or oversize top paired with skinny bottom or just pairing baggy top and bottom, they key word is volume and ease. 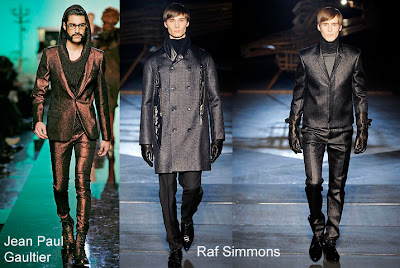 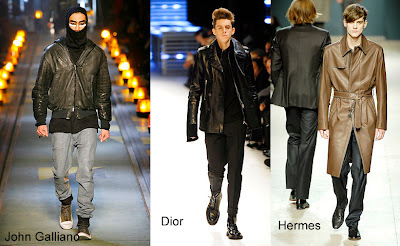 4) Leather - whether it's the usual black or brown or in bright colours the big trend is wearing skin is in. 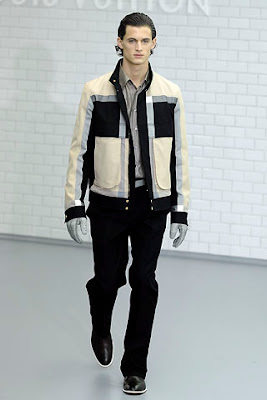 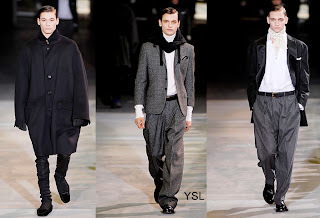 But my favourite in Paris this season was the Vuitton and Balenciaga collection. 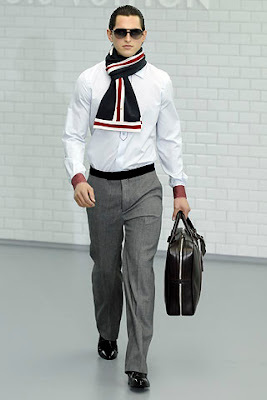 It’s very wearable. 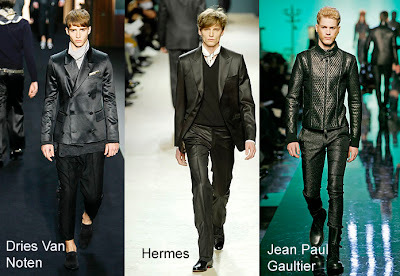 I could easily see every man would look good on them and not just skinny anorexic teen. 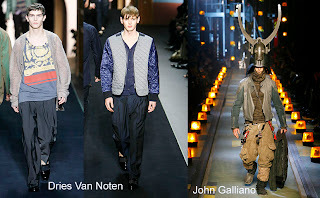 I specially love that Vuitton jacket on the left. 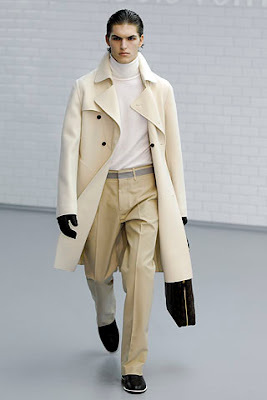 The cut of the pants looks perfect. 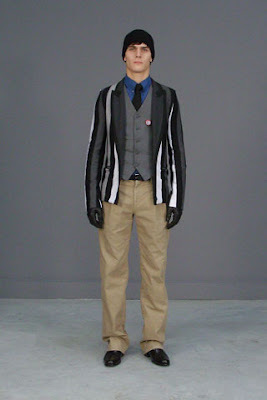 In Balenciaga I love the new take on preppy style and again that stripe blazer looks wonderful.